6. Transparency and our zero tolerance of marketing and/or sales posts creates authentic discussions with no hidden agendas. If you have got value from Property Tribes, perhaps it has saved you money or helped you make a wise choice, then please do consider using our sponsors and affiliates. By doing so, you are contributing to the continued success of this site. For Guaranteed Rent and lettings - Northwood Lettings. They have 80 plus offices across the UK and their M.D. Eric Walker is a regular contributor here. For lending- Shawbrook Bank, - products can be accessed through the broker team at Property Tribes Financial Services on 01206 654444. At the time of writing, Property Tribes member Paul Nicholson is working with Shawbrook Bank on a commercial to resi conversion in St. Helens. ​For property deals- Assetz are our partner. They are a long-established company and members of the Property Ombudsman. Visit the Assetz website to register to receive their latest property deals. For tax advice- Rental Income Tax Advisors. RITA are also the preferred tax advisor of the Residential Landlord Association. You can contact RITA on 0800 1 22 33 57. Landlord Association- the Residential Landlords Association is our partner. You can enjoy 25% discount off membership of the RLA. Call their friendly Member Services specialists to discuss how RLA membership can work for you or click on the link above to claim your 25% discount off membership. Call 03330 142998 or 0161 962 0010 (8:30am until 5pm Monday to Friday). For legal advice- Anthony Gold Solicitors are our partner and can be contacted on 020 7940 4060. AGL can assist with disputes, tenant issues, HMO licensing issues, lease extensions, conveyancing, auction purchases and much more! Partner David Smith is a regular contributor to this site and also Policy Director of the RLA. For deposit protection- TDS are our partner. Please use their quick and easy service to protect your deposits, whether you choose custodial or insured. You can also call them on 0300 037 1000. 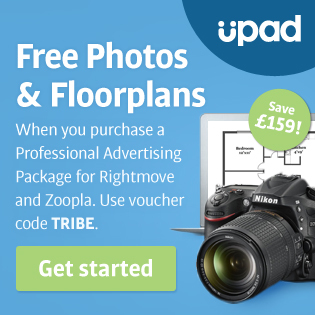 For self-managed lettings- Upad is our partner. You can advertise your property and receive tenant enquires via their portal. You can contact the friendly and helpful Upad support team on 0333 240 1220. For debt advice - Landlord Debt Advisory are on hand to support the PT community. LDA are the only FCA-regulated debt advice service for landlords in negative equity or struggling with mortgage arrears. LDA can be contacted via their website or by calling 0161 222 4311. For HMO portfolio building- Platinum Property Partners. PPP are a well-established and successful business that works with investors to build high yielding HMO property portfolios. 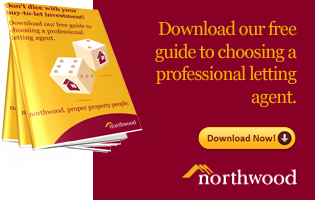 Download their FREE guide - 7 steps to profitable HMOs. PPP can be contacted on 01202 652101. For Universal Credit and LHA issues- Bill Irvine at Universal Credit Advice. Bill is one of the UK's leading experts in dealing with tenants on UC and LHA. For Property Ombudsman Scheme- the Property Redress Scheme have partnered with us as our independent redress partner. Tenant Referencing - we are partnered with Landlord Referencing Services. LRS have a unique referencing service based on networked tenant references. They also offer a number of other services to get a tenancy set up correctly and ensure it is smooth-running. Event partner- The Landlord Investment Show run free events all over the country where you can attend seminars, meet supplies of products and services, and network with other landlords. Peer to Peer Lending- Assetz Capita l are our partner for this. You can contact Assetz Capital either to borrow money for property projects, or lend money to them. A typical return is between 8% and 12% depending on the risk profile of the project. 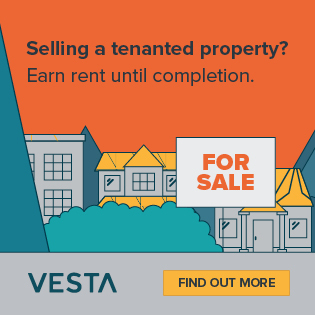 Buying and selling of tenanted properties: Vesta are our partner for buying and selling tenanted properties. Dealing with problem tenants: Landlord Action are our partner for dealing with problem tenants and offer a 3 stage fixed fee service to deal with delinquent tenants. Leasehold issues: ALEP are the sponsors of our Leasehold Property Tribe and here you can find professionals to assist you with leasehold issues. For Property Management - Happy Tenant Company are our partner and offer portfolio management with London and the M25. Deal Finding - One and Only Pro is a platform that helps you identify properties with the highest yields and the greatest potential for capital growth. Tenant Finding - within London - our partner is Ideal Flatmate. We also have the following "branded" services which are affiliates of this site and Property Tribes earns a small commission if you do business with them. 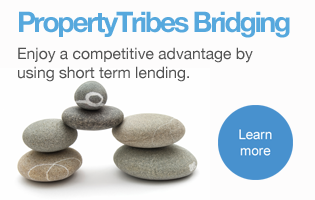 Mortgages- Property Tribes Financial Services have a FREE mortgage sourcing tool and can be contacted on 01206 654444. 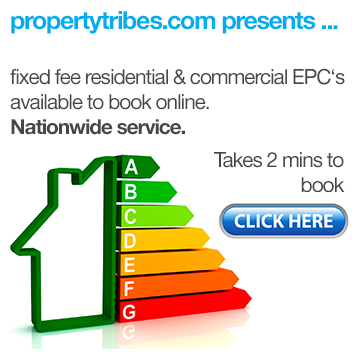 EPCs- check our our nationwide fixed fee EPC booking service. For insurance- Alan Boswell Group. ABG are one of the most respected names in landlord insurance. You can call the ABG team on 01603 649736. 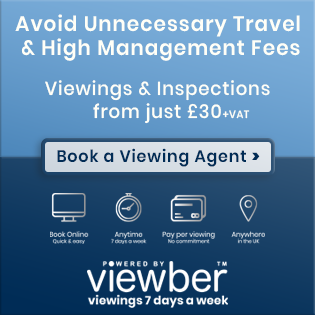 For remote viewings and access - Viewber are our partner and a Viewber can be sent out to your rental property for numerous reasons. Deal sourcing software- Property Tribes RepoList*. The U.K.'s largest database of repossessed, refurbishment, cash buyer only, and auction properties. (Subscription service). Thank you in advance for considering using any of the above products and services. Your support of Property Tribes is appreciated! 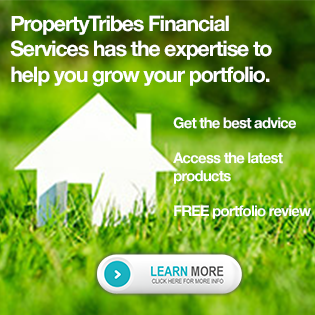 If you have used any of the above products and services, we would love you to review them here for the benefit of the Property Tribes community!!! As you may, or may not be aware, Property Tribes is able to remain as a free to use community resource, thanks to the support of our sponsors, partners, and affiliates. We have endeavoured to create a commercial model based on the concept of "reciprocity" - that, if you have got value from using this platform, you may like to reciprocate by using the products and services of those partners who support it as a free to use resource. 1. It is completely transparent and all sponsorships and affiliates are clearly sign-posted. All sponsored content is also clearly signposted as having a commercial element. 2. Our sponsors are accountable to the Property Tribes community, which gives you peace of mind in using them. 3. You have a choice of whether to use our sponsors or not, and are exposed to other commercial propositions i.e. other commercial entities are allowed to contribute here. 4. Our sponsors support the PT community by giving advice and answering questions on their area of operation/expertise. 5. We never sell our mailing list or use it to advertise or market to our members. See our up-dated Privacy Notice. Pleased to say I've used Fusion, Alan Boswell and Northwood as a direct result of PT and been happy with all.